Bags are an important part of our daily life, whether you commute or not. I have a particular liking for bags, and love to try every bag I can get my hands on. Here I try the STM Velo 2. STM cases do not tend to appear much in the UK as of now, but they are making rapid progress. 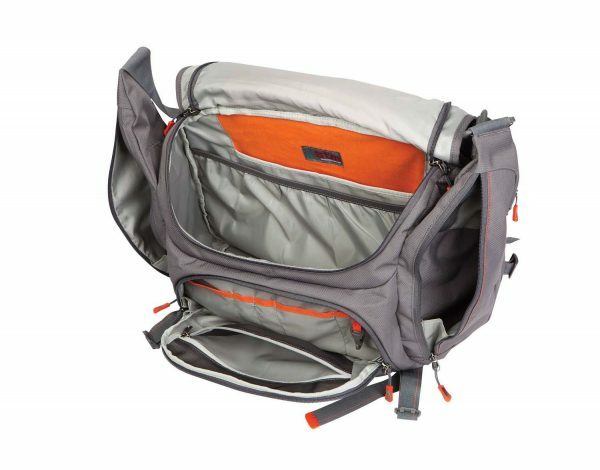 Originally an Australian company, they have designed this bag with the commuter in mind, whether he/she is on a bike, running, or just travelling by car or train. Can I really cycle or run wearing this? This has quite a few things going for it. First of all, it is very comfortable to carry, and comes with a backstrap to put over your chest which means you can wear this even when cycling or running. 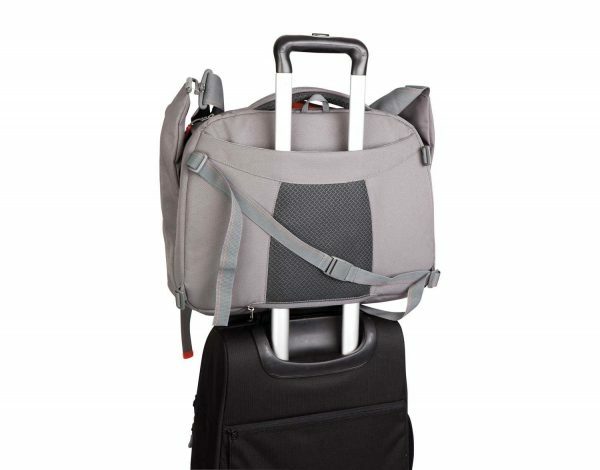 At the back is also a handy zipper, which means you can actually slide this into any suitcase that has wheels on it. A very handy feature if you want to take this with you on a plane or a train! What can I store in this? This is what I love the most about this bag. It has a pocket virtually anywhere you can squeeze a pocket in. I have just counted 15, and they can store everything from your laptop and tablet, to notebooks, pens, CDs, media, paper, newspapers, Thermos flask, little bits of USB stick, receipts, and much much more. What I really like about this bag, which is something you don’t normally see in messenger style Laptop bags, is that the laptop is actually packed into a sleeve behind the main flap. This means that when you carry or open this in public, your laptop is not exposed to the elements, and is also neatly hidden away from prying eyes. This will take most laptops in the 15″ range. So, I can fit everything in it… but how does it carry? It is actually very comfortable. 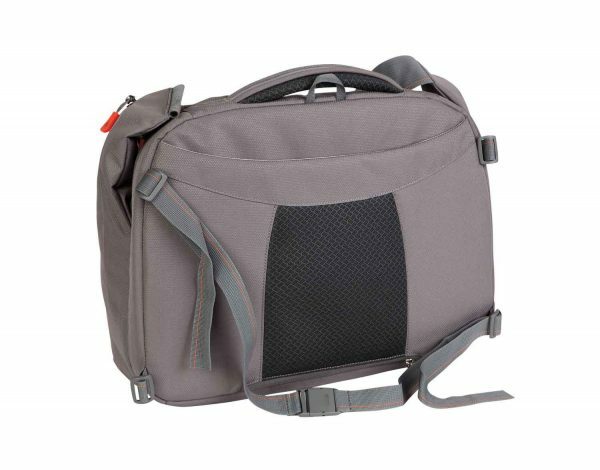 Apart from the backstrap to hold it in place, it comes with a padded back, ensuring full comfort at all times. This retails for £69.95, and is available from most online retailers. 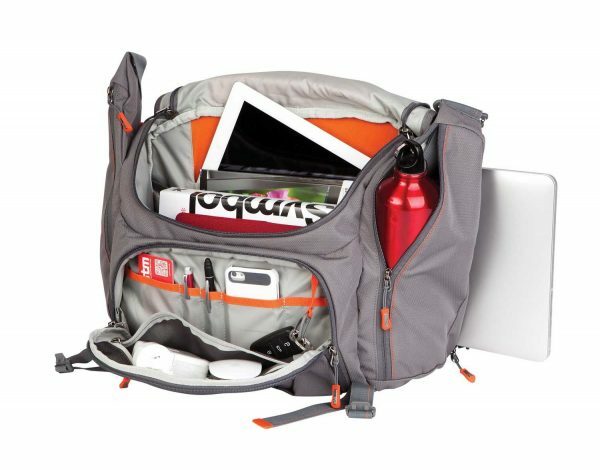 Bags are an essential accessory to the gadget lover these days, and not many will fit almost everything you want to fit in them. 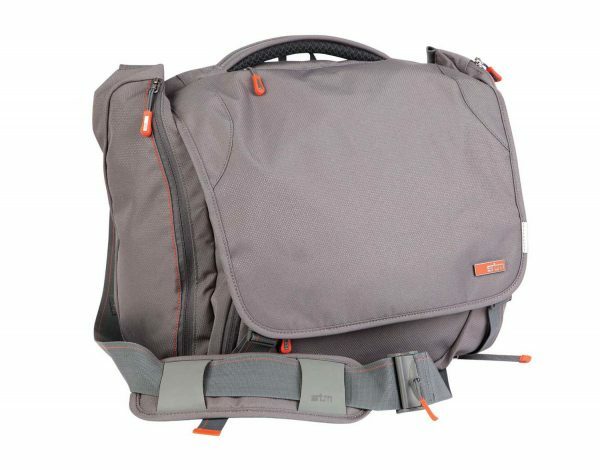 So, a laptop bag that does that, looks good, and feels comfortable is definitely one to go for. Velo 2 ticks all these boxes, and some, and I would definitely recommend it.